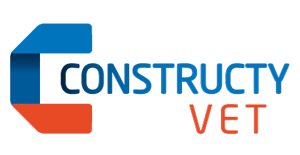 The ConstructyVET project is aimed at devising a transnational action plan for the development of middle management skills on building sites. The partners want to narrow the gap between the expectations of companies with regard to knowledge, skills and competences on the one hand and the qualifications of the workforce immediately after training on the other. Indeed, on completion of current training of future foremen and site managers, companies generally only make these posts available to employees with 3 to 7 years of professional experience, although their needs are rather more immediate. This pattern is reflected in most of the partner countries. Proposal of a transnational model for the validation, recognition and transparency of the learning outcomes of the adjusted training programmes. The partnership is composed by: CCCA-BTP (France), FORMEDIL (Italie), CENFIC (Portugal), FLC (Espagne), FLC ASTURIAS (Espagne), IFAPME (Belgique), Warrington Collegiate (UK), BZB (Germany), INSTYTUT BADAN EDUKACYJNYCH (Poland).